Comment: We want to have stamped concrete for the driveway. Comment: I have my blacktop driveway which I would like to remove and install concrete one. Comment: Paint on stamped concrete driveway is chipping. Comment: Need to remove pavers and replace with concrete surface - stamped or other. Comment: Need to remove a window and enclose with cinder block and stucco finish. Pompano Beach Concrete Contractors are rated 4.68 out of 5 based on 1,169 reviews of 61 pros. 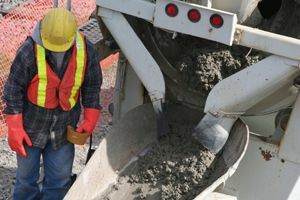 Not Looking for Concrete Contractors in Pompano Beach, FL?